Martha Graham was born in a suburb of Pittsburgh, Pennsylvania, on May 11, 1894, one of George and Jane Beers Graham's three daughters. Her father was a doctor who treated people with nervous disorders. When she was ten years old, and after one of her sisters developed asthma (a breathing problem), the family moved to California because the weather was better. Graham became interested in studying dance after she saw Ruth St. Denis (c. 1880–1968) perform in Los Angeles, California, in 1914. Her parents did not approve of her becoming a dancer, so she enrolled in the Cumnock School, a junior college. Graham's father died in 1914, after which she felt free to pursue her dream. After graduating from Cumnock, she enrolled in the Denishawn Studio, a dancing school operated by Ruth St. Denis and Ted Shawn (1891–1972). Graham had never had a dance lesson up to that point, but the small, quiet, shy, but hardworking girl impressed Shawn and toured with his troupe in a production of Xochitl, based on an Indian legend. In 1923 Graham left this company to do two years of solo dancing for the Greenwich Village Follies. In 1925 Graham became dance instructor at the Eastman School of Music and Theater in Rochester, New York. She began experimenting with modern dance forms. "I wanted to begin," she said, "not with characters or ideas but with movement." She rejected the traditional steps of classical ballet; she wanted the dancing body to be related to natural motion and to the music. She experimented with what the body could do based on its own structure, developing what was known as "percussive movements." Graham's first dances were performed on a bare stage with only costumes and lights. The dancers' faces were tight, their hands stiff, and their costumes short. Later she added more scenery and different costumes for effect. The music was modern and usually composed just for the dance. Isadora Duncan (1878–1927), the first modern dancer, had used music to inspire her works, but Graham used music to make her works more dramatic. Graham's process of creation usually began with what she called a "certain stirring." Inspiration might come from a classical myth, an event in American history, a story from the Bible, historical figures, current social problems, writings, poems, or paintings. She would then develop a dramatic situation or character to express the feeling or idea. She then found music, or asked for new music from her longtime collaborator (cocreator), Louis Horst, to maintain the inspiration while she created movements to express it. The purpose of Graham's dance was to bring about an increased awareness of life and a greater understanding of the nature of man. Dance was to her an "inner emotional experience." Graham introduced a number of other new features to modern dance. She established the use of moving scenery, used props as symbols, and combined speech with dancing. She was also the first to integrate her group, using African Americans and Asians in her regular company. She replaced the traditional ballet folk dress with either a straight, dark, long shirt or the common leotard (a tight, one-piece garment worn by dancers). Using the stage, the floor, and the props as part of the dance itself, she produced a whole new language of dance. In 1926 Graham introduced this new language in her first solo recital in New York City. Her first large group piece, Vision of the Apocalypse, was performed in 1929. Her most important early work was a piece called Heretic. After Graham's performance as the lead role in composer Igor Stravinsky's (1882–1971) American premiere of Rite of Spring (1930), Graham toured the United States for four years (1931–35) in the production Electra. During this trip she became interested in the American Indians of the Southwest. One of the first products of this interest was Primitive Mysteries. Her increasing interest in the American past was seen in her dance based on the lives of American pioneer women, Frontier (1935), and in her famous Appalachian Spring (1944). In 1932 she became the first dancer to receive a Guggenheim fellowship (an award to promote artistic research and creation), and she danced for President Franklin Roosevelt (1882–1945) at the White House in 1937. Graham founded the Dance Repertory Theater in New York City in 1930. She also helped establish the Bennington School of Arts at Bennington College in Vermont, where her teaching made Bennington the center of experimental dance in America. With the later establishment of the Martha Graham School of Contemporary Dance in New York City, she taught a large number of modern dancers who went on to spread her ideas and style to the rest of the world. Graham danced her last role in 1969, but she continued to choreograph. In 1976 she received the Presidential Medal of Freedom. A year before her death, in 1990, she choreographed Maple Leaf Rag, a show that featured music by Scott Joplin (1868–1917) and costumes by Calvin Klein (1942–). Her name is still linked with modern dance in many people's minds. 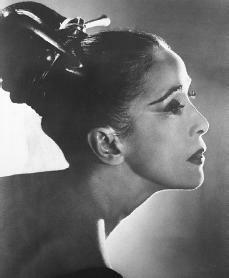 Martha Graham died on April 1, 1991, known as one of the twentieth century's revolutionary artists. DeMille, Agnes. Martha: The Life and Work of Martha Graham. New York: Random House, 1991. Freedman, Russell. Martha Graham: A Dancer's Life. New York: Clarion Books, 1998. Graham, Martha. Blood Memory. New York: Doubleday, 1991. I love this website. I like how you can go on here and you can read about anyone.Because I have this thing in school and you find someone who interests you and then you have to see if the book is in our library at school and it was. Then you get the book and you read it and my teacher gives this sheet of paper and now this sheet of paper lets you organizes your information. Then you go online and see what different information you can get there.Thanks for the information! I was wondering if there was a way I could get some information from this site for a report? I appreciate learning about Martha Graham from Google celebrating her anniversary/birthday. I knew nothing about her till today. Wow, beautiful and unique contemporary dance. Fascinating! Bless her for inventing that kind of dancing which is her own expression. Cool. I really enjoyed reading about her life story. She is a very interesting person. Just like Andriana, I didn't know anything about Ms. Graham until I saw Google's doodle today. I believe a person can grow from ignorance by reading and learning, thus cultivating one's mind and spirit. This is a good structured and clearly written summary about Ms. Graham's life that taught me what a creative and strong character as she can do to better our world by renovating and re-inventing our culture. Thank you Ecyclopedia of World's Biography's, your site has been added to my favorites. Thank you Google, for honoring Martha Graham. As a child growing up on the campus of Bennington College in the 40's, I remember her well, and used to watch her in the "Carriage Barn" as she taught master classes (I was always impressed that the Bennington dance faculty took her classes along with students and members of her dance group). She also allowed me to watch (because I was quiet) as she worked on new dances, one of which, I believe, was "Appalachian Spring"! She had a profound influence on me personally, and I tried to become a dancer later, without success. I will never forget her!